With just over a day to go before the evacuation deadline arrives at North Dakota's Oceti Sakowin camp, protectors at the Standing Rock have issued a plea: Come help — now. In a viral video shared by social justice journalist Shaun King on Monday, a group of indigenous women remind viewers that demonstrations against the Dakota Access pipeline are about much more than a single issue. They're about clean water,treaty rights and the rights of future generations. "In the history of colonization, they've always given us two options: Give up our land or go to jail. Give up our rights or go to jail," one woman says in the video. "And now, give up our water or go to jail. We are not criminals." 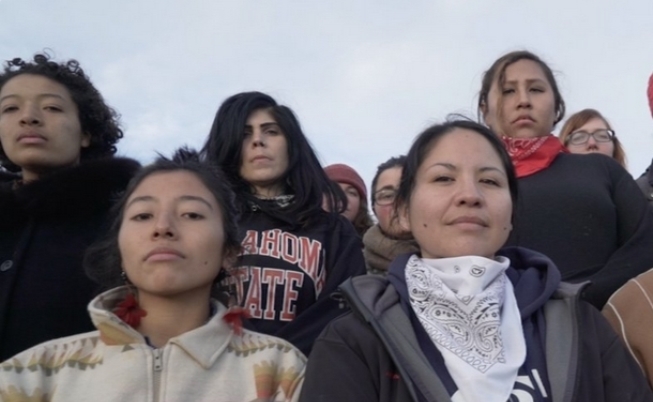 "They've been trying to take us down for hundreds of years," one woman says. "They can keep trying, and we're still going to be here, and we need help. There aren't many of us left." Responses to "Indigenous women of Standing Rock issue heartbreaking plea for help ahead of evacuation"